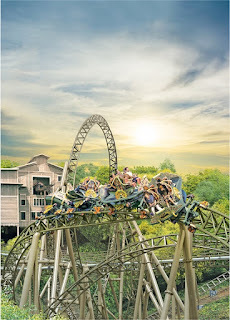 “This coaster’s state-of-the-art controlled spin provides riders a unique thrill experience while still appealing to families,” said Brad Thomas, President of Silver Dollar City Attractions, the initial advocate for delivering a ride like no other. Thomas says Silver Dollar City partnered with MACK because of their long-standing reputation of delivering many of the best and most innovative rides in the entire industry. And unlike most coasters that begin with a slow, chain-clacking ride to the top of a lift, Time Traveler’s thrills start in the first seconds of the ride with a hushed rush, as the cars leave the load station with a spin and a 10-story drop straight down, racing down a mountainside and through the trees in the mountainous terrain. 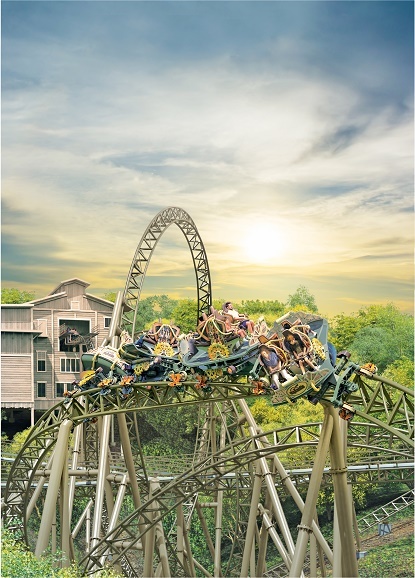 “Since Silver Dollar City’s opening day in 1960, guests have taken a journey back in time with unique and world-class experiences. We strive daily to continue that tradition through our rides, our festivals, our crafts and our food. That pursuit continues in 2018 with Time Traveler - a Revolutionary Coaster Ahead of Our Time,” said Thomas. Time Traveler is set to open with the park’s Spring Ride Days, March 14. More information is at 800-831-4FUN(386) and www.silverdollarcity.com.